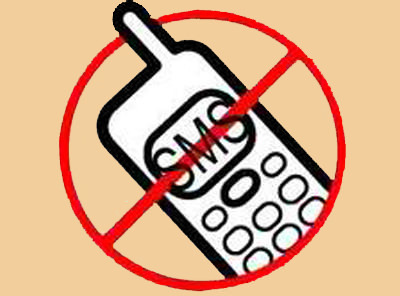 Government of India has limited SMS sending facility to 5 per day. This rule has come into effect from 17th August, 2012 midnight. This has been implemented through TRAI to stop the rumor spread across north-east India regarding a fictitious violence against minority religious groups. Due to this regulation, no one will be able to send more than 5 SMS in one go and more than 20 KB of data through mobile phones as MMS during the ban period. Though the limit on SMS is on bulk messages, some operators have reportedly applied this cap on person-to-person SMS as well. It is being strongly suspected that there is Pakistan's hand behind this NE violence and there is natural anger being shown against Pakistan on social networking sites due to this SMS ban.